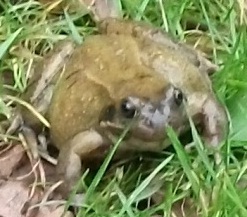 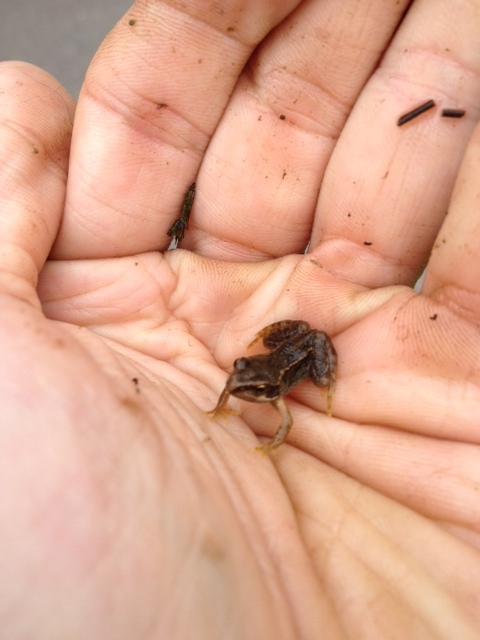 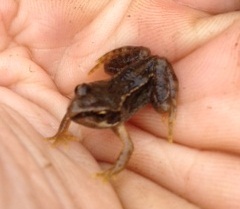 The frog shown here was found on 08/01/2012 while clearing the water course at the bridge end of the park. 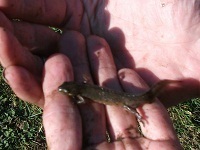 The body was approximately 75mm long. 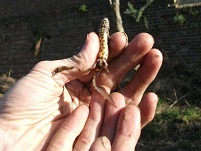 The frogspawn hatched on 19/03/2012. 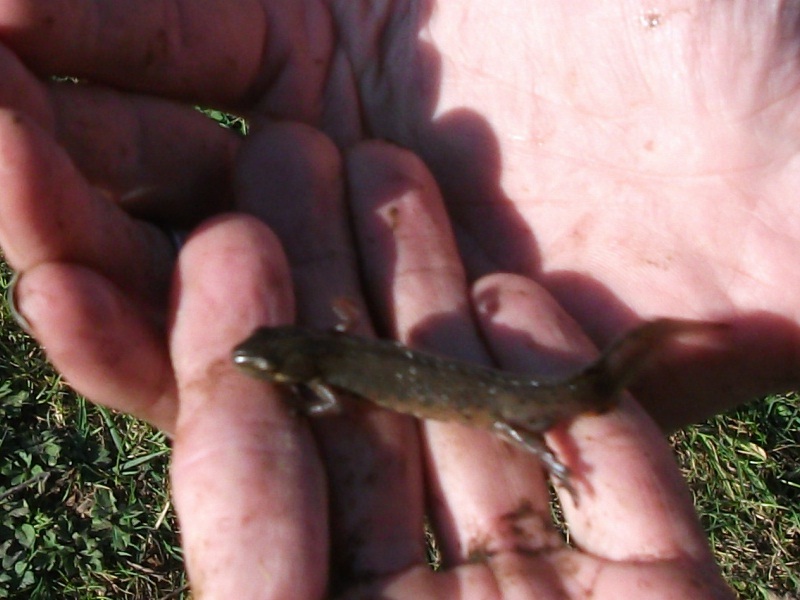 A number of newts have been seen around the water course in March 2012.